The global funk group have announced they will be playing a second night at The O2 on Friday June 23 as part of the venue's birthday celebrations. The band - who return to the music scene with 'Automaton', their first single in over nine years, which is released on March 31 - sold out their tickets for the London venue within 30 seconds of them going on sale. The tour is their first set of live dates in over seven years and has lead them to trend globally on each announcement. 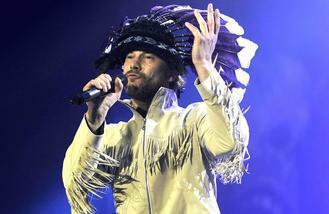 Jamiroquai have sold more than 26 million records worldwide and are currently holding the Guinness Book of World Records for best-selling funk album of all time. What's more, 2017 marks the 25th anniversary of Jamiroquai's debut single 'When You Gotta Learn', as well as the 20th anniversary of their smash hit 'Virtual Insanity'. The video for the 1997 single won four awards at the MTV VMAs and a Grammy.